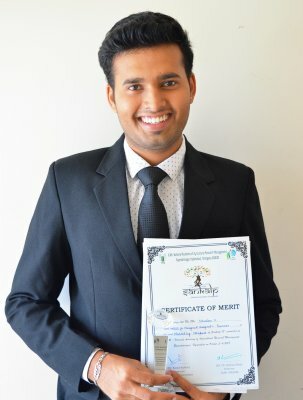 Mr. Nandan C. Jog of PGDM 2017-19, has emerged as Winner in the Paper Presentation competition held at St. Aloysius Institute of Management & Information Technology, Beeri, Mangaluru, held on October 10, 2018. Mr. Nandan has authored the paper on Native Advertisement in Marketing. Dr. Lodo SJ, Director, AIMIT and Dr. Rowena Wright, Dean (Academics) and Faculty Coordinator Mr. Royce Barello, gave away the citation and cash prize of Rs. 10,000 to the winner. In the management fest - Sankalp 2018 organized by the National Academy of Agricultural Research Management (NAARM) of the Indian Council of Agricultural Research (ICAR), Hyderabad, Mr. Nandan C. Jog of PGDM 2017-19, stood Runner Up in the Best Manager and Marketing Event category. The event was organized MBA colleges in India during October 3 & 4, 2018 at NAARM, Hyderabad.